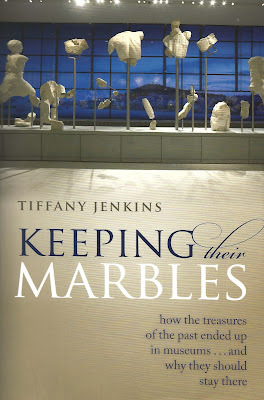 I am working my way through Tiffany Jenkins, Keeping their marbles: how the treasures of the past ended up in museums ... and why they should stay there (Oxford: OUP, 2016). Mark Fisher, The Spectator March 2016: "Her level-headed and balanced book -- which not only considers the role of museums in shaping our historical understanding, but notes the way museums are being transformed by an outstanding generation of contemporary architects -- is a valuable contribution to the international debate, and will enrich audiences and scholars for a long time to come." Kwame Opoku, Modern Ghana March 2016 [online]: "Jenkins, like many supporters of retention of artefacts of others, is very quick to argue that repatriating artefacts 'would be allowing modern-day sensibilities to rewrite history ' Seriously, does anybody believe that returning one Benin bronze to Benin is to rewrite history?" Robert Hewison, Apollo April 2016: "Jenkins sees the collapse of grand museological narratives as the sign of a 'post-ideological age', but this book is hardly ideology-free. Concluding with the explosion of museum building in the Gulf and China, she writes that 'money has replaced might'. Yet these museums are a physical manifestation of the geopolitical forces that once brought the marbles to London. It seems inconceivable at present, but Greece may yet get them back." Henrik Bering, WSJ 7 May 2016: "But for a poorly run country like Greece, what better way for the government to distract the population's attention than to engage in cultural warfare? 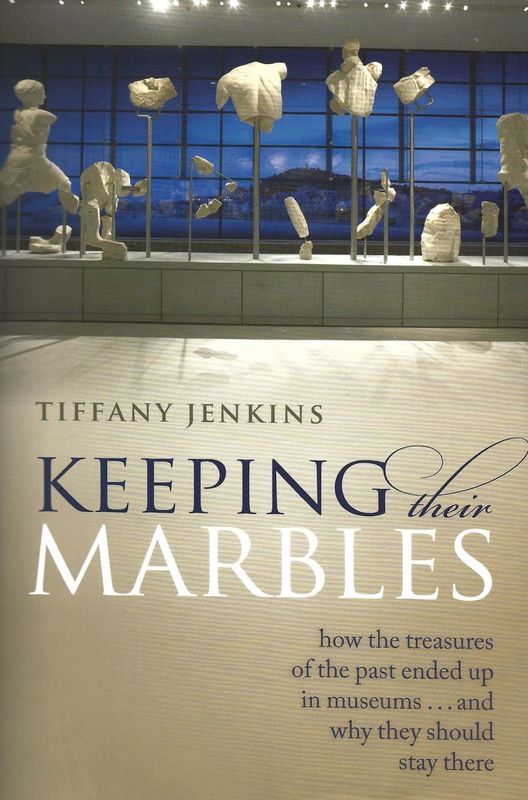 From this perspective, says Ms. Jenkins, it is surely better that the marbles remain in Britain, so that the Greeks can continue to pose as much-wronged victims. Ms. Jenkins has produced a courageous and well-argued book; the howls you hear in the background are those of the contrition crowd." Vicky Allan, The Herald [Glasgow] 16 May 2016: "Jenkins sets her arguments out unflinchingly, yet with balance". Stefan Beck, The Weekly Standard June 2016: "This leads us, at last, to Jenkins's shrewdest and most devastating observation. Returning objects, and angrily demanding their return, serves today's great powers in much the same fashion that seizing those same objects served them centuries ago." Lucia Marcini, Minerva 24.4 (July / August 2016): "She asserts that large visitor numbers and easy access for researchers are important reasons why leading museums should hold on to their celebrated treasures even though they may be plunder". Johanna Haninck (Brown University), BMCR December 2016 [online]. "And while I find myself wholly at odds with the politics of this book, it is also the task of the reviewer to judge whether an author succeeds, on her own terms, to make a credible and persuasive intervention on behalf of her positions. Jenkins does not. Despite the sensationalistic claims made in the introduction and in the splashy marketing material, Keeping Their Marbles contributes almost nothing to (and arguably even sets back) the broader, evolving, and ever more sophisticated conversation about critical heritage studies, which should be a matter of concern to everyone who reads BMCR. The book is a diatribe—and not a very well-researched, well-documented, or well-written one—that has been dressed, advertised, and reviewed as an authoritative monograph issued by one of our field’s flagship presses."